Relieve tension in muscles involved in chewing, grinding and clenching. headaches, migraines, jaw mobility, jaw pain, sleep quality and other symptoms of TMJ dysfunction. You do not need to be diagnosed with TMJ dysfunction to benefit, this unique therapy can benefit anyone in need of improving comfort in their jaw, head and neck region. A variety of massage techniques may be used, including the massage of muscles from inside the mouth. Massage therapists in Washington State, such as Emily, can undergo specialized training and become licensed to provide intraoral massage. Wearing gloves, Emily accesses muscles from inside the mouth, allowing for direct contact of small muscles, commonly around the jaw and cheekbones, that are poorly accessible, if at all, from outside the mouth. Intraoral massage is a unique experience with profound results. Because massage of these muscles in uncommon, the first few sessions may feel strange and intense. Feedback is required to monitor the effectiveness and to prevent pain. While not a deemed a "relaxation" technique, clients often experience long lasting benefits of just 20-30 minutes of intraoral work. Your comfort and trust is of the utmost importance and Emily will discuss with you if this massage technique is right for your needs. While the main focus of these sessions is to relieve jaw tension, it is important to also evaluate the surrounding muscles. 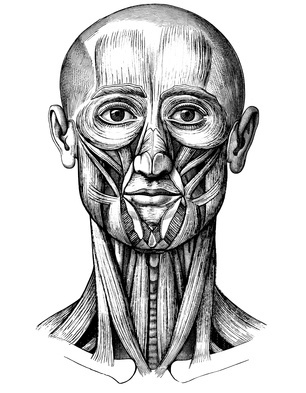 As the illustrations show, a several muscles cross and connect these regions. 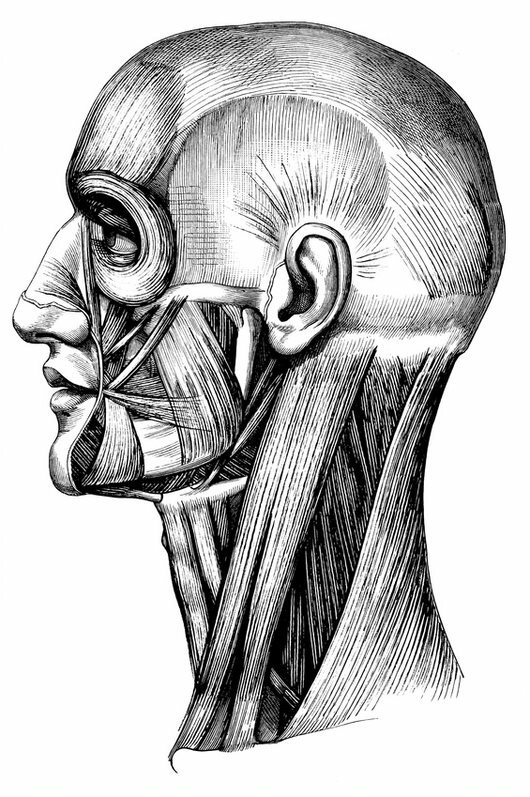 Some of these muscles, like the temporalis, above the ears, are directly involved in chewing. Other muscles, like those below the neck, are subsequently affected by tension in the jaw. Other times, our overuse or misuse of muscles in the neck and shoulders can have an effect on jaw tension, headaches, migraines and sleep. The way we hold or move our bodies, such as when texting or riding a bike, have a cascading effect on whole body regions. Our muscles and surrounding connective tissue, fascia, respond to our movement patterns by tightening or lengthening. No matter the cause, Emily will work with you to alleviate and prevent discomfort in your jaw, head and neck.